Ericka Barnes is an Assistant Professor in the Chemistry Department at Southern Connecticut State University. Her research interests are in the field of computational quantum chemistry. Héctor Corzo is a graduate student at Auburn University, studying under Professor Vince Ortiz. Jean-Phillip Piquemal received his PhD in theoretical chemistry from UPMC and now works as a full professor at Sorbonne Universite. He devotes his research to theoretical chemistry, with topics including methodological developments in the fields of multiscale quantum chemistry, new generation polarizable force fields and quantum chemical topology. Ab Initio Electronic Structure Theory. Moreover, his accomplishments in each area would be remarkable had that been his only area of work. 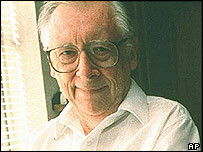 Although John wrote a few early papers on computational electronic structure theory while a graduate student with Sir John Lennard-Jones , his primary interest for his first decade of research was in Statistical Mechanics. The model for liquid water he published in the 1950s  remained the standard for many years. Next, John became interested in the then-emerging field of NMR, publishing important papers on the underlying theory  and also coauthoring the then-standard textbook on the subject . As this work progressed, he developed an interest in computing properties such as chemical shifts, which lead him to electronic structure. Since first principles (non-empirical) methods appeared to be far too expensive computationally to apply to typical problems in organic chemistry, John used and developed semi-empirical models. Simultaneously with Pariser and Parr, John developed what became known as the PPP model for p -excitations , one of the earliest successful semi-empirical models. In spite of its simplicity, this model still has its uses 40 years later. Eventually, John’s work with semi-empirical models drew him away from NMR altogether. Along with various students, he developed the widely used CNDO  and INDO  models. In the course of this work, John articulated and clarified the approximations used both in this generation of models  and by other researchers such as Michael Dewer in later models such as MINDO/3 , MNDO, and AM1. From the beginning of his semi-empirical electronic structure work, John had the goal of creating computer programs which would be useful to chemists who were not experts in the theory. His CNDO/INDO program was one of the most popular distributed through the Quantum Chemistry Program Exchange. After several years of developing successively more accurate and more computationally costly semi-empirical models, John realized that with improvements to the algorithms, it would be possible to make non-empirical (by then called “ab initio”) calculations fast enough to apply to significant problems . This type of theory remained his focus for the final three decades of his work. His work on the STO-3G basis set remains among his most cited papers . After he and his student Warren Hehre had developed a new algorithm which made Hartree-Fock calculations much faster than had previously been thought possible, the resulting program, Gaussian 70 , was made available through QCPE. Earlier programs by other theorists (e.g., PolyAtom) had been distributed to and used by many theoretical research groups, but because of both its speed and ease of use, Gaussian 70 became the first ab initio program used by significant numbers of non-theorists. During the 1970s, John and his group worked on more sophisticated ab initio methods, including larger basis sets (6-31G, 6-31G* , etc.) and going beyond Hartree-Fock to include electron correlation, examining several rival methods which had been advocated by different researchers, including Configuration Interaction, Perturbation Theory and Coupled Cluster . 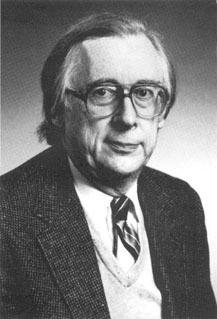 Through the 1970s and 1980s John was one of the leaders (along with Bartlett and Schaefer) in the development of models and algorithms for SCF, CI , perturbation theory , and coupled cluster methods. One of his most notable accomplishments was a 1979 paper with Schlegel, Raghavachari, and Binkley which presented both the first practical algorithm for analytic Hartree-Fock second derivatives and the first gradients for the MP2 correlated method . Work in John’s group continued in these areas, as well as on improved algorithms for integral evaluation, Hartree-Fock calculations, resulting in the HGP  and PRISM  algorithms, and on direct and semi-direct algorithms for large MP2 calculations . In the 1990s, John saw that Becke had applied the Model Chemistry approach (see below) to various density functional models and demonstrated that some of these functionals had sufficient accuracy to be useful for chemical problems, and began to work in this area as well . Work in recent years has focused on the development of the high accuracy Gaussian-1 theory  and its follow-ons. In approaching each of these methods in turn, John was guided by his principle of Model Chemistries, an original concept for which he was solely responsible and articulated in a hard-to-find seminal paper . This approach, in which one carefully calibrates the difference between the chemistry predicted by a particular model and that observed in the real world, and then uses the same model for studies of new systems in which the accuracy–and error–of the model is known from the previous calibrations, represented a significant departure from the approach taken in earlier theoretical work. It effectively prevented the application of electronic structure calculations to a broad range of problems. It made it extremely difficult for non-experts to use electronic structure calculations as part of their research. By articulating the principle of model chemistries and then carefully calibrating particular models, John made it possible for people to apply computational models with confidence because they knew to what extent to trust the results. This fundamental principle has been essential to the success of almost all methods in electronic structure theory, not just those originated or favored by John, and has also been essential to the widespread use of electronic structure computations, regardless of which software package is involved. This is undoubtedly John Pople’s most significant contribution, and will still influence the development of the field long after the particular models he developed have become obsolete. Theorists should study systems people care about, not just what is easy or inexpensive to study. Models should be calibrated carefully and the results presented with scrupulous honesty about their weaknesses as well as their strengths. One should recognize the strengths as well as the weaknesses of other people’s models and learn from them. If a model is worth implementing in software, it should be implemented in a way which is both efficient and easy to use. There is no point in creating models which are not useful to other chemists. These ideas seem as sound to me today as they did when I first learned them from John more than twenty years ago. The goal of making theory a useful tool for all chemists has clearly been adopted by many of his students. As John was very fond of pointing out, his former group members have started a total of five software companies. I would add the note that since all five companies are still in operation after a decade or more, that the people involved have also learned some of John’s other lessons about how to do theory in a way that matters to the field as a whole. As is often the case with great scientists, John demonstrated a keen ability for putting aside the many non-essential details of a complicated problem, and identifying and focusing on the critical issues. I’m sure that all his students try to follow his example in this, but that none of us would claim to have his talent at it. His passing is a loss to everyone in our field. J. A. Pople and Sir John Lennard-Jones. “The Molecular Orbital Theory of Chemical Valency: IV. The Significance of Equivalent Orbitals,” Proc. Roy. Soc. A 202 (1950) 166; J. A. Pople, A. C. Hurley, and Sir John Lennard-Jones, “The Molecular Orbital Theory of Chemical Valency: XVI. A Theory of Paired-electrons in Polyatomic Molecules,” Proc. Roy. Soc. A 220 (1953) 446. J. A. Pople, “Molecular Association in Liquids: II. A Theory of the Structure of Water,” Proc. Roy. Soc. A 205 (1951) 163. J. A. Pople, “The Theory of Chemical Shifts in Nuclear Magnetic Resonance: I. Induced Current Densities,” Proc. Roy. Soc. A 239 (1957) 541; J. A. Pople, “The Theory of Chemical Shifts in Nuclear Magnetic Resonance: II. Interpretation of Proton Shifts,” Proc. Roy. Soc. A 239 (1957) 550. J. A. Pople, W. G. Schneider, and H. J. Bernstein, High Resolution Nuclear Magnetic Resonance (McGraw-Hill, New York, 1959). J. A. Pople, “Electron Interaction in Unsaturated Hydrocarbons,” Trans. Faraday Soc. 49 (1953) 1375; J. A. Pople and A. Brickstock, “Resonance Energies and Charge Distributions of Unsaturated Hydrocarbon Radicals and Ions,” Trans. Faraday Soc. 50 (1954) 901. The development of PPP was reviewed in J. A. Pople, “The Origin of PPP Theory,” Int. J. Quant. Chem. 37 (1990) 349 and R. G. Parr, “Parr: On the Genesis of a Theory,” Int. J. Quant. Chem. 37 (1990) 327. J. A. Pople and G. A. Segal, “Approximate Self-consistent Molecular Orbital Theory III. CNDO Results for AB2 and AB3 systems,” J. Chem. Phys. 44 (1966) 3289. J. A. Pople, D. Beveridge, and P. Dobosh, “Approximate Self-consistent Molecular Orbital Theory V. Intermediate Neglect of Differential Overlap,” J. Chem. Phys. 47 (1967) 2026. J. A. Pople, D. P. Santry, and G. A. Segal. “Approximate Self-Consistent Molecular Orbital Theory .I. Invariant Procedures,” J. Chem. Phys. 43 (1965) 129. J. A. Pople, “Some Deficiencies of MINDO/3,” J. Am. Chem. Soc. 97 (1975) 5306. M. D. Newton, W. A. Lathan, W. J. Hehre, and J. A. Pople, “Self-Consistent Molecular Orbital Methods. III. Comparison of Gaussian Expansion and PDDO Methods Using Minimal STO Basis Sets,” J. Chem. Phys. 51 (1969) 3927. W. J. Hehre, R. F. Stewart, and J. A. Pople, “Self-Consistent Molecular Orbital Methods I. Use of Gaussian Expansions of Slater Type Atomic Orbitals,” J. Chem. Phys. 51 (1969) 2657. W. J. Hehre, W. A. Lathan, R. Ditchfield, M. D. Newton, and J. A. Pople, Gaussian 70 (Quantum Chemistry Program Exchange, Program No. 237, 1970). P. C. Haharan and J. A. Pople, “The Influence of Polarization Functions on Molecular Orbital Hydrogenation Energies,” Theor. Chim. Acta 28 (1973) 213. Important papers include: J. S. Binkley and J. A. Pople, “Møller-Plesset Theory for Atomic Ground State Energies,” Int. J. Quant. Chem. 9 (1975) 229; J. A. Pople, J. S. Binkley, and R. Seeger, “Theoretical Models Incorporating Electron Correlation,” Int. J. Quant. Chem. 10 (1976) 1; J. A. Pople, R. Seeger, and R. Krishnan [K. Raghavachari], “Variational Configuration Interaction Methods and Comparison with Perturbation Theory,” Int. J. Quant. Chem. S11 (1977) 149. R. Krishnan [K. Raghavachari], H. B. Schlegel, and J. A. Pople, “Derivative Studies in Configuration-Interaction Theory,” J. Chem. Phys. 72 (1980) 4654. R. Krishnan [K. Raghavachari] and J. A. Pople, “An Approximate Fourth Order Perturbation Theory of the Electron Correlation Energy,” Int. J. Quant. Chem. 14 (1978) 91; R. Krishnan [K. Raghavachari], M. J. Frisch, and J. A. Pople, “Contribution of Triple Substitutions to the Electron Correlation Energy in Fourth Order Perturbation Theory,” J. Chem. Phys. 72, 4244 (1980). J. A. Pople, R. Krishnan [K. Raghavachari], H. B. Schlegel, and J. S. Binkley, “Derivative Studies in Hartree-Fock and Møller-Plesset Theories,” Int. J. Quant. Chem. 513 (1979) 225. M. Head-Gordon and J. A. Pople, “A Method for Two-Electron Gaussian Integral and Integral Derivative Evaluation Using Recurrence Relations,” J. Chem. Phys. 89 (1988) 5777. P. M. W. Gill, M. Head-Gordon, and J. A. Pople, “An Efficient Algorithm for the Generation of Two-Electron Repulsion Integrals over Gaussian Basis Functions,” Int. J. Quant. Chem. S23 (1989) 269. M. J. Frisch, M. Head-Gordon, and J. A. Pople. “A Direct MP2 Gradient-Method” Chem. Phys. Letters 166 (1990) 275; M. J. Frisch, M. Head-Gordon and J. A. Pople. “Semidirect Algorithms for the MP2 Energy and Gradient” Chem. Phys. Letters 166 (1990) 281. P. M. W. Gill, B. G. Johnson, J. A. Pople, and M. J. Frisch. “The Performance of the Becke-Lee-Yang-Parr (B-LYP) Density Functional Theory with Various Basis-Sets” Chem. Phys. Letters 197 (1992) 499; B. G. Johnson, P. M. W. Gill, and J. A. Pople. “The Performance of a Family of Density Functional Methods” J. Chem. Physics 98(1993) 5612. J. A. Pople, M. Head-Gordon, D. J. Fox, K. Raghavachari, and L. A. Curtiss. “Gaussian-1 Theory: A General Procedure for Prediction of Molecular-Energies” J. Chem. Physics 90 (1989) 5622. J. A. Pople, “Theoretical Models for Chemistry,” Proceedings of the Summer Research Conference on Theoretical Chemistry, Energy Structure and Reactivity, Ed. D. W. Smith, (John Wiley & Sons, New York, 1973). See also J. A. Pople. “2-Dimensional Chart of Quantum Chemistry,” J. Chem. Phys. 48 (1965) 229. 1925 Born October 31st, Burnham-on-Sea, Somerset, England to Keith and Mary Pople. 1943–1945 Entered Cambridge University on a Mathematics scholarship. 1945–1947 Wartime employment with Bristol Aeroplane. 1947–1950 Resumes studies at Cambridge University. Begins studying Quantum Chemistry among other scientific topics. Receives his Ph.D. in Mathematics in 1951. 1952 Research Fellow, Trinity College, Cambridge. 1954–1958 Lecturer on Mathematics Faculty. 1958–1964 Head of the new Basics Physics Division at the National Physical Laboratory near London. 1961–1962 Spends sabbatical year at Carnegie Institute of Technology in Pittsburgh, PA.
1964–1993 Carnegie Professor of Chemical Physics at Carnegie Mellon University, Pittsburgh and later John Christian Warner Professor of Natural Sciences. 1993–2004 Board of Trustees Professor of Chemistry at Northwestern University. 1998 Winner, Nobel Prize in Chemistry (with Walter Kohn). 2003 Knight Commander of the Order of the British Empire (K.B.E. ).